Tropical, with intermittent rain throughout the year. Much cooler temperatures exist in hill resorts and there is a high coastal humidity. Tropical, lightweight wear; rainwear and warm clothing for hill regions. Haiti is situated in the Caribbean and comprises the forested mountainous western end of the island of Hispaniola, which it shares with the Dominican Republic. Its area includes the Île de la Gonâve, in the Gulf of the same name; among other islands is La Tortue off the north peninsula. 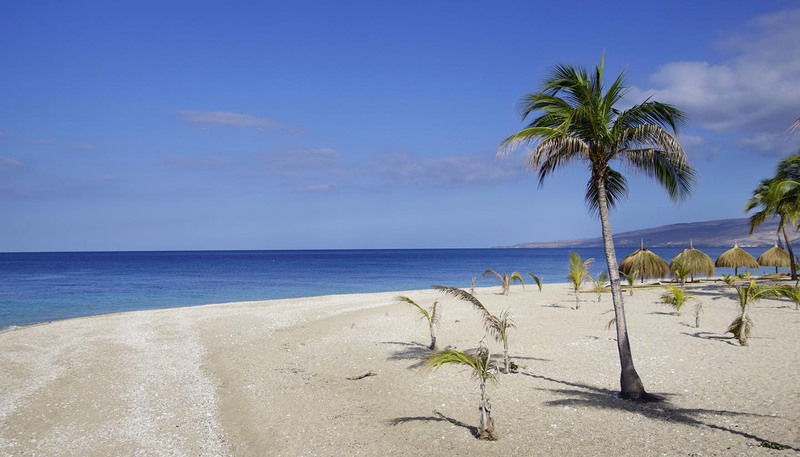 Haiti's coastline is dotted with magnificent beaches, between which stretches lush subtropical vegetation, even covering the slopes which lead down to the shore. Port-au-Prince is a magnificent natural harbour at the end of a deep horseshoe bay.